car to us and we will tell you exactly what's wrong. 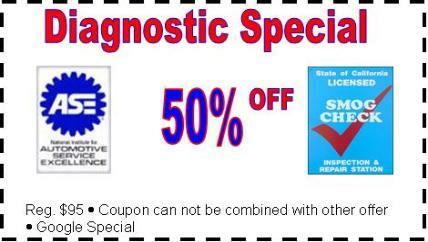 Current web special is half off of our regular diagnostic cost. Vehicle Failed a Smog Check? Check Engine Sign is ON ?